We offer excursions to the historic city of Lancaster, enjoy a delightful canal cruise with afternoon tea. A visit to the popular market town of Skipton and enjoy a journey on the Bolton Abbey railway. ; Plus travel on a Lakes steamer to the town of Bowness on Windermere. 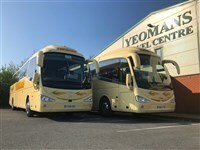 We depart this morning and travel to Morecambe, making comfort breaks enroute. Today we travel to Holker Hall set in beautiful countryside where you can visit the Hall and then its collections of trees and shrubs in its gardens. Later we continue to the Lakeland Motor Museum housing over 150 cars, motorcycles and tractors and the Campbell exhibition housing a replica of the Bluebird car. Following a leisurely breakfast, we enjoy a day at leisure. After breakfast we travel the short distance to the historic city of Lancaster where we give you time to explore, before rejoining our coach for the journey to our wide beam cruiser called the "Kingfisher". Here we ride along the canal enjoying afternoon tea. We return through the countryside back to Morecambe. This morning we travel to the market town of Skipton traveling through some Yorkshire countryside. On our arrival it is market day and we give you time to explore the town before rejoining our coach for the short journey to Embsay. Here we join our train for a journey to Bolton Abbey where we meet the coach for the journey back to Morecambe. Today we travel along the Lune Valley and into the Yorkshire Dales National Park to our destination of Hawes. Here we break our journey before rejoining our coach for the journey back to Morecambe through stunning scenery. After breakfast we travel to Haverthwaite in the southern lake district where we join a steam train for the journey to Lake Windermere. Here we catch a lake steamer and travel along the lake to the town of Bowness on Windermere. After a short break exploring the town we rejoin our coach for the journey back to our hotel in Morecambe. We depart after breakfast and begin our journey home. A warm welcome awaits you at this family run hotel, which is ideally situated on the seafront promenade but close to the towns shops and amenities. 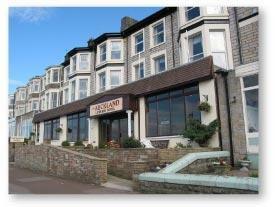 The hotel is renowned for its high standard of cuisine which is served in the inviting restaurant. All bedrooms are ensuite with television, hairdryer and tea/coffee making facilities with the majority of rooms served by a lift. A visit to Holker Hall Gardens with its wonderful collection of trees and shrubs. A visit to the Lakeland Motor Museum including the Campbell car collection. A visit to the market town of Skipton. A steam train ride from Embsay to Bolton Abbey. A scenic drive through The Yorkshire Dales National Park. A steam train ride from Haverthwaite to Lakeside, followed by a lake steamer journey to Bowness on Windermere. Single room supplement maybe applicable.